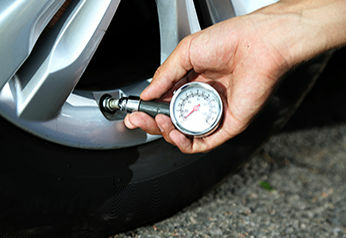 Tyres are a crucial component of car safety. Performance are sometimes overlooked. 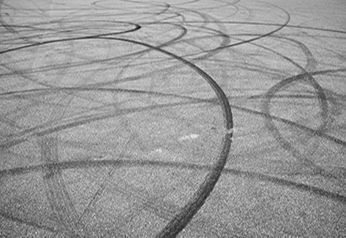 They are the only element touching the ground and are responsible for translating the driver’s intention to action. Choosing the right tyre can increase the entire performance of your vehicle, including fuel consumption and safety. There are multiple factors that will influence, and contribute to degradation of your tyre condition, such as climate, road surface and driving style, such as frequent harsh breaking. By law, the minimum tread depth is 1.5 mm. When it’s raining, the tread is responsible for securing contact between tyre and road, effectively pushing the water out. If you are planning to get new tyres for your car. It might be a bit overwhelming. However, if you follow these steps, you will definitely find the perfect tyre for your needs. Find out the specifications in size and type from your car's manufacturer, unsurprisingly, the tyres must fit the wheel properly. You can find out what kind of tyres you need by looking on the side wall of your current tyres. You will see a combination of characters in a form similar to this: 165/55R17 94H. Another way to find out your tyre size is by searching your vehicle for the manufacturer’s placard. This is usually found on the driver’s door, under the bonnet or in the glove box, however, locations vary between manufacturers and models. Make sure you check when you should replace your tyres. This depends on your needs. Not all tyres are the same. Every tyre has its strengths and weaknesses. Some are long-lasting, others offer better grip, others are quiet and smooth while driving. A single tyre can’t be the best in all aspects, however, the more you invest, the better the quality will be and consequently, your driving experience. These options will narrow down your selection: You can save money with Budget tyres for example from Goodride, Atturo, Minerva and Kenda, that can also prove to have a long life span. 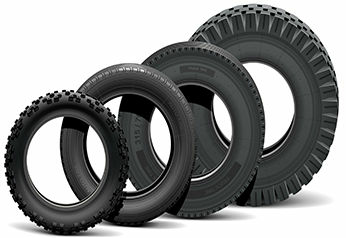 Value tyres from brands such as Kumho, Toyo, Nexen, Hankook and Falken give you the best comfort for a reasonable price. They offer tyres for family, open roads and eco comfort for example. If you want to ride with silence, the best comfort and maximum safety, Premium tyres from Pirelli, Michelin, Continental, Dunlop and Bridgestone might be your best choice. The Italian tyre supplier Pirelli is an award winning taking top honors for 2015 recognised for their high end quality in production and design. You can buy your tyres from a local dealer or online. There are a lots of advantages when buying online: You often have a wider range of tyres, it is more convenient not having to go to the actual store. Furthermore, by cutting out the middle man, quality remains great, but the prices online are mostly cheaper than at a physical store. If you are looking for a very specific tyre, then it is important that you are choosing a source that offers a wide range of tyres. Compare the final price for the tyre and fitting. Fitting has to be done by a professional garage so this is also a financial aspect. 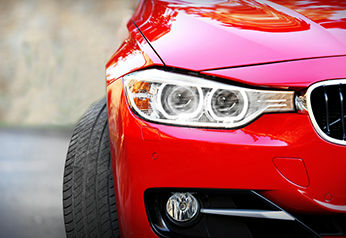 https://www.tyroola.com.au/ offers a configurator that allows you to choose the size that fits your car before presenting you with suitable tyres, at the best prices available on the market. It happens all in one convenient transaction: You just have to pick your tyre size, enter your zip code and choose if you want to get your tyres delivered to your home or directly to your closest fitting station. After the payment you get notified when your tyres will be ready. Due to varying construction styles, Tyres must have on both sides of the axle the same tread pattern and tread depth. Otherwise, you risk decreasing the function of the braking and steering. It can also be dangerous to mix tyres of different sizes or aspect ratios. If you want to see which brands are best and which one are below average, the tyre comparison guide gives a good overview of Australia's tyre brands.